The Malaysian government expects the cities of Malacca and Penang to be included in the World Heritage Site register when the UNESCO committee meets in July. HOPES are high for Malacca and Penang to be listed as World Heritage Sites in July. Malacca Chief Minister Datuk Seri Mohd Ali Rustam said the state had fulfilled the required criteria for Unescoâ€™s consideration and was confident of a favourable outcome from the World Heritage Site Committee meeting later this year. 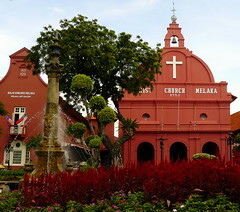 The Historic Centres of Malacca and Penang are currently listed in the World Heritage Sites’ Tentative list. Here’s to hoping that they make it!